There are certainly benefits of having the occasional glass of wine: It can do everything from boost your brain function to help you live longer. One thing you might not have expected, though, is what it can do for your smile. In a new study, published in the Journal of Agricultural and Food Chemistry, researchers found the polyphenols in red wine can protect the body from damage—teeth and gums included. While the bacteria in your mouth can cause dental plaque, cavities, and periodontal disease, extracts of two wine polyphenols—caffeic and p-Coumaric acids—made it harder for the bad stuff to stick around. While the bacteria in your mouth can cause dental plaque, cavities, and periodontal disease, extracts of two wine polyphenols—caffeic and p-Coumaric acids—made it harder for the bad stuff to stick around. What’s even crazier is when compared to the oral probiotic Streptococcus dentisani, wine actually better defended the teeth and gums from bacteria. Scientists think this might have something to do with the digestion of polyphenols that begins in the mouth, but more research still needs to be done. 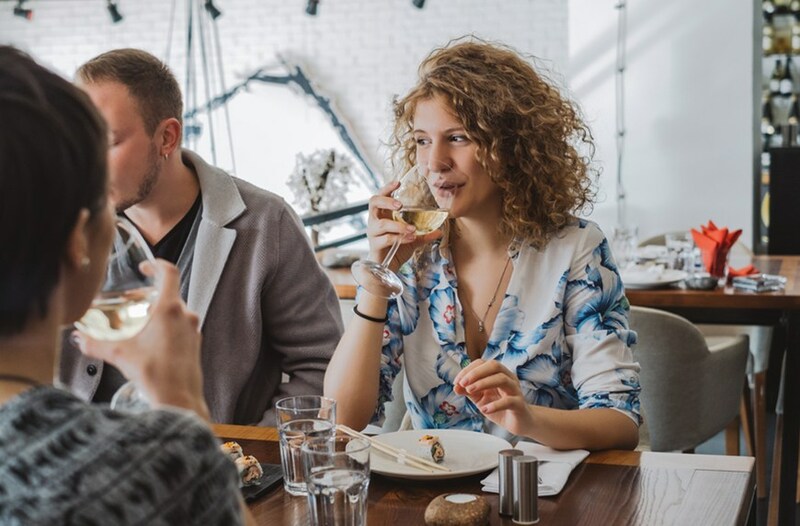 While you might not want to start brushing your teeth with a bottle of cabernet just yet, these findings could be a harbinger of good news to come when it comes to wine lovers’ oral health. These five natural wines are perfect for sipping. Or, find out why wine glasses have grown in size by *seven* times in the past 300 years.